Can an African shrub help liberate people from the torment of addiction? Barcelona, Spain – As overdose incidents rise to alarming rates in both North America and the European Union, there is an urgent need to develop better treatment for addiction. One promising lead may be Ibogaine, a naturally occurring compound isolated from the root bark of the African shrub Tabernanthe iboga. 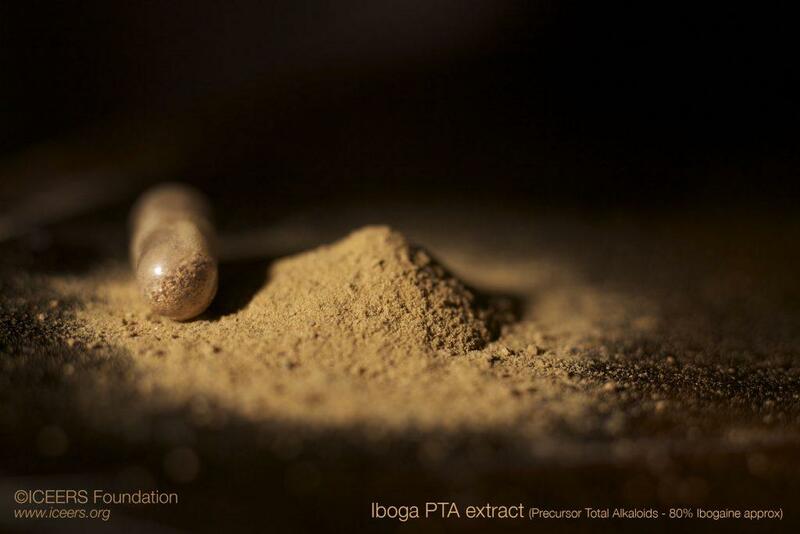 While the use of the T. iboga plant extends centuries into the African past, ibogaine has been used to treat opioid dependence in Europe and North America for more than four decades. Two new studies published this spring point to ibogaine as an important new tool in helping people with substance use disorders and point to the need for more clinical studies. “The need for a fundamentally new pharmacological treatment for addiction has never been more urgent,” said Dr. Kenneth Alper, MD, New York University School of Medicine, Associate professor of Psychiatry and Neurology, and senior author of a new study on ibogaine treatment for opioid addiction recently published in the American Journal of Drug and Alcohol Abuse. In this observational study (sponsored by the Multidisciplinary Association for Psychedelic Studies), the investigators followed 30 individuals at two clinics based in Mexico who received single dosages of ibogaine for detoxification from prescription opioids or heroin. At one-month follow-up, 50 percent of patients reported no opioid use in the previous 30 days, approximately double the rates reported following detoxification with gradually tapering dosages of the opioid substitution drugs buprenorphine or methadone without subsequent maintenance treatment. Reduction ratings of drug use following treatment with ibogaine were still decreased by 75 percent at 9 -12 months among 12 of the initial 30 subjects, some for whom other treatments had been unsuccessful. “The data appear to indicate a substantive treatment effect,” said Dr. Alper. Noting his own previous work indicating that ibogaine does not act as an opioid substitution therapy, Dr. Alper continued, “The mechanism of action of ibogaine is unknown – we don’t know how it works, which makes it so interesting. Ibogaine may provide a valuable prototype for drug discovery and innovation.” In addition to the alleviation of withdrawal symptoms on a physiological level, ibogaine appeared to be associated with a subjectively meaningful experience that patients viewed as psychotherapeutically helpful. “Patients attributed insight and meaning to the content of the psychoactive state associated with ibogaine.” said Dr. Alper. “They often characterized the interval of diminished posttreatment drug craving as a window of opportunity for personal change.” “There is an argument to be made for treatments that can support patients for whom methadone has provided an option to stabilize but who would have better outcomes if they were able to no longer be dependent on this opioid substitution therapy (OST),” said Dr. José Carlos Bouso, Scientific Director at the International Centre for Ethnobotanical Education, Research and Service (ICEERS), and co-author of a new paper on low-dose ibogaine treatment for MMT detoxification. The case study, published in the April issue of the Journal of Psychedelic Studies, recounts the experience of a 47-year old woman who had been on methadone maintenance for 17 years to treat her previous heroin dependence. The patient had tried to end her methadone intake with non-pharmacological support but had been unsuccessful, and after considerable research, she wanted to cease the treatment using ibogaine. “After assessing that the patient had the irreversible plan of taking ibogaine for self-treating her methadone dependence, we supported her with a low-dose tapering protocol that we had developed over the past several years,” said Clare Wilkins, Director of Pangea Biomedics, an ibogaine treatment centre based in Mexico. The treatment consisted of low and increasing doses of ibogaine administered (to avoid high doses, which have higher risks) in between progressively decreasing methadone dosages. The patient successfully eliminated her withdrawals from methadone with ibogaine and one year later was still abstinent from prescription opioids and methadone. “Despite the promising results from several studies, these two most recent included, ibogaine’s legal status remains a barrier for conducting more research and for integrating ibogaine into existing treatment systems. It’s time to act and to dedicate resources to doing more research on the therapeutic potentials of ibogaine,” Ben De Loenen, Executive Director of the International Centre for Ethnobotanical Education, Research and Service. “At the same time, it’s important to recognize this traditional plant’s cultural importance in Gabon and take measures to regulate it so that sustainability is ensured.” The substance has been illegal in the USA since 1967 (classified as a hallucinogen) and is also scheduled in 9 countries in the European Union. In other countries, it is unregulated (i.e. neither approved nor illegal), except for in Brazil, New Zealand, and South Africa where it is regulated as a pharmaceutical for use by licensed medical practitioners.